New Zealand is seabird central, with our waters having the highest species richness of anywhere on the planet. What of the many which breed in burrows ashore? We have an appalling record of mainland colonies being wiped out by predators, but the ecology of many islands is still dominated by the effects of (especially) burrowing seabirds. Their activities alter nutrients in the soil, change the type of plants that grow, and make homes for invertebrates and lizards (many of which are endangered). Their presence in abundance is an indicator of a healthy, natural island ecosystem, so we want to help protect existing colonies, provide tools for monitoring colony health, and, bizarrely, install boom boxes to broadcast seabird calls. Seabirds are very loyal to their birth place and it is very difficult to establish them on a new site. 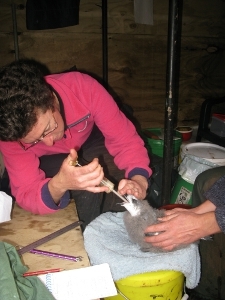 Costly transfer of chicks is the main method currently used and it takes many years for a sizeable population to establish. An alternative is to install weather-proof, solar-powered sound systems which can broadcast selected calls out to sea at night and try to attract stray birds or some from an over-populated island nearby. Sound far-fetched? 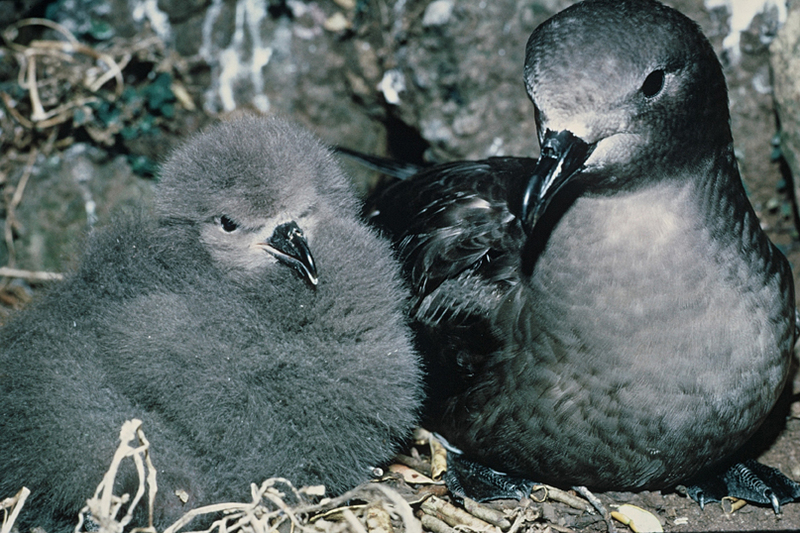 A similar sound system on Mana Island near Wellington has contributed, along with chick transfers, to the return of nesting fairy prions and fluttering shearwaters there, and grey-faced petrels have been attracted back to another site further north. 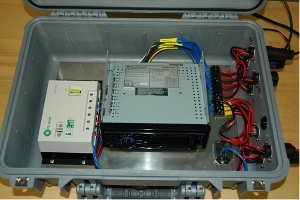 A sound system can be fabricated for under $5000, compared with $20,000+ per year for 3-6 years for chick translocations. Wakaterepapanui Island is one of the Rangitoto Group in the Outer Pelorus/Cook Strait area. Rats were removed from all three Rangitoto Islands in 1998. The great thing is that Wakaterepapanui is very close to other islands with large populations of fairy prions and so is a good candidate for a productive speaker system. Mike Aviss of DOC did the install in 2006 of one of Stu Cockburn’s specials, put in some burrows to get them started, and now it’s just a matter of waiting and letting the birds do the rest. Mike reported early nesting attempts by diving petrels in 2008 and in 2014 Peter Gaze noted petrels leaving the island at dawn on a recent visit to this inaccessible rock. 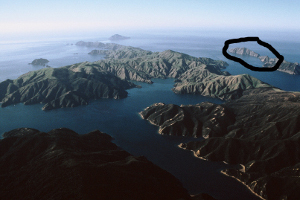 Raoul Island is the largest island in the volcanic Kermadec group at the northern extremity of New Zealand territory. Two hundred years of occupation by rats and cats has eliminated virtually all the seabird colonies from an island whose ecology would have once been dominated by seabirds. Raoul was cleared of rats and cats in 2003 in one of the largest island eradications ever attempted and the natural recovery of forest birds and vegetation is well under way. It has large populations of seabirds on islands nearby (The Meyer, Chanter and Herald islets just offshore, and especially Macauley Island about 60 km away). 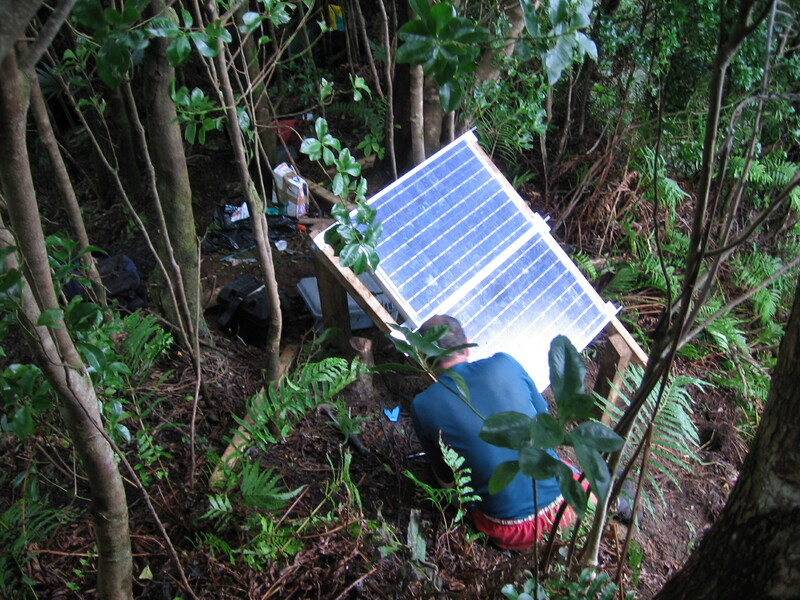 DOC’s Graeme Taylor, Karen Baird and Stu Cockburn wanted to accelerate natural recolonisation and target species that breed in very few locations and are vulnerable to disasters like rat invasion or volcanic activity. The team assembled three new speaker systems and got them to Raoul on one of the infrequent supply visits by Navy frigate. They were installed in 2007-8 and some “starter” burrows were made at the speaker sites. There was almost immediate success. In April 2008 a visiting naturalist reported night-time activity at two sites. One had four new burrows and a pair of Black-winged Petrels in one; there was also a generalised petrel smell around the site. At the other site there was some digging and a black-winged petrel on the ground. 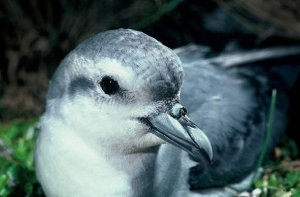 Time will tell if other target species- white-naped petrel, little shearwater, white-bellied storm petrel and Kermadec storm petrel can be encouraged back, thus avoiding some expensive translocations. Mottled Petrel are reasonably common on offshore islands, but there is one mainland population hanging on in Fiordland National Park. Petrel Island is a 1000 sq.m islet approximately 500 m off Mary Island in Lake Hauroko, and it holds about 100 breeding pairs of mottled petrel. Mottled petrel were once widespread on the mainland and would have been common in the ranges either side of Lake Hauroko. 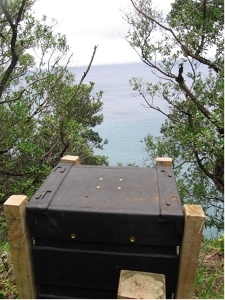 Petrel Island has half a dozen stoat traps on it, and unfortunately stoats are getting there. If they chose to ignore the traps and target the petrel chicks, it could mean a quick extirpation. 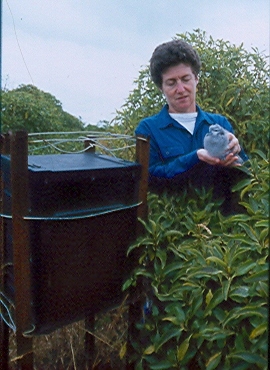 Ros Cole from DOC wanted to extend trapping to the adjacent Mary Island and make it that much harder for stoats to get to Petrel Island from the mainland. This might also make Mary Island available for other conservation efforts. 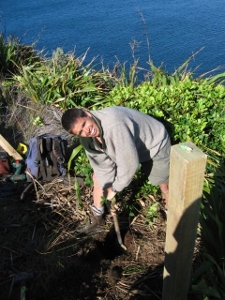 It is already very significant to Ngai Tahu, with one of their revered tupuna interred in a cave there. 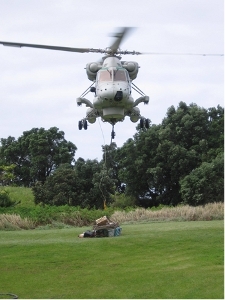 Ros’ team installed 40 traps in 2010 around the perimeter of the island. Locals and DoC staff are servicing the traps and we hope it does the trick. Mottled petrel on Petrel Island will not need any further direct management to ensure their ongoing survival in the presence of a robust stoat trapping programme such as this. 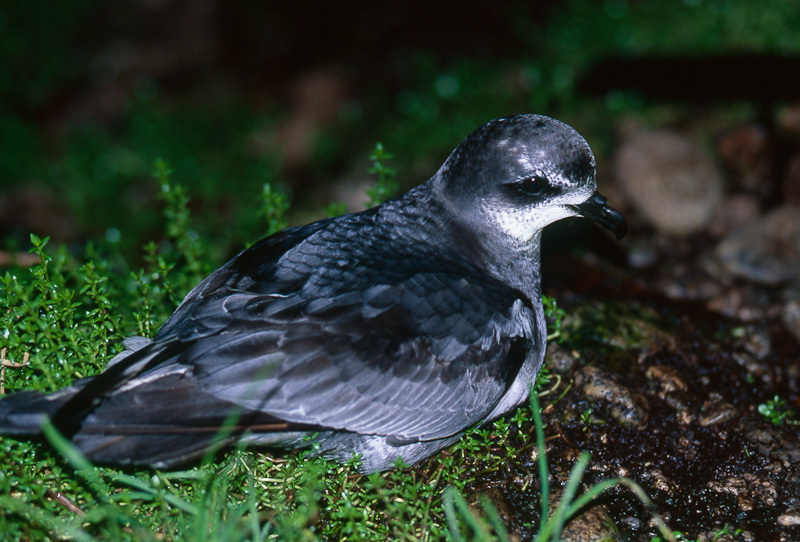 In the long term mottled petrel may begin to recolonise Mary Island. Birds that nest in burrows are awkward to monitor, and with so many threats to them we need the best information we can get. Modern burrowscopes can help. Burrowscopes are machines with cameras on the end of a flexible probe, and a screen to view in real time what is happening down the burrow at the end of the probe. The burrowscopes currently used are a mix of various old technologies, involving heavy batteries, cumbersome scopes and poor images that leave much in doubt- none of which is easy to manage in the steep alpine habitat of the nesting Hutton’s shearwater. 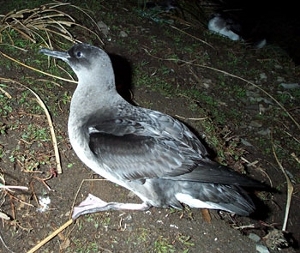 Hutton’s shearwater are endemic to the mountains of the Seaward Kaikouras. Two colonies remain, both at 1500 m asl. Stoats are possibly getting at the colonies, and Paul McGahan and his DOC team wanted evidence of stoat predation and evidence that their trapping program was having a positive effect. 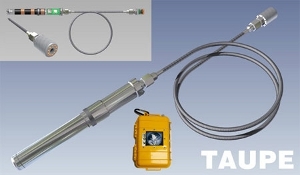 A new, compact, wireless burrowscope is now available from a Wellington company and we have provided one to Paul. It’s been deployed successfully at Kaikoura and is now finding use in various other seabird hotspots around the country. Funded by Fauna Recovery New Zealand ($22,000).